WELCOME TO this week’s Big Fish Blog, coming to you here every Thursday. This time it’s by the Pike Anglers Club. 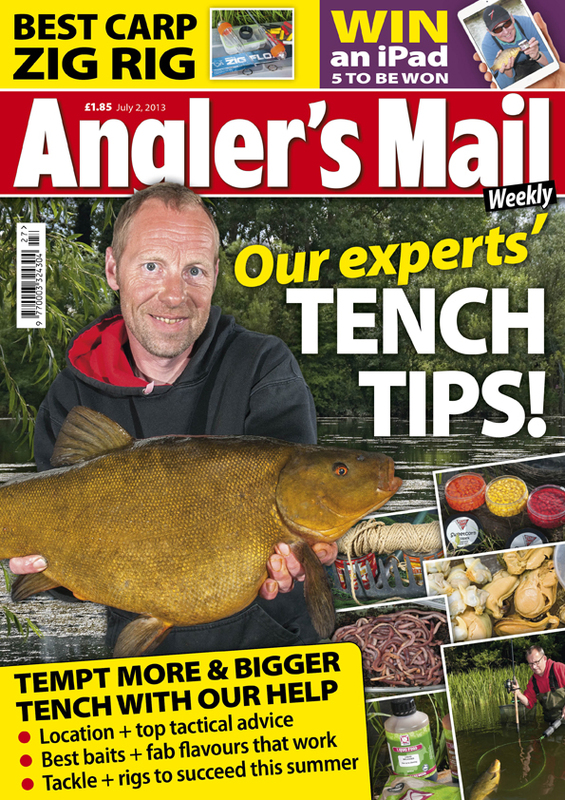 We take predator fishing seriously at the Mail, so are delighted our pals at the PAC are on board. This instalment comes from Alan Dudhill. THE warmer weather attracts many anglers to the banksides, as all but the most dedicated pikers fish for pike all year round. This puts a lot of extra pressure on the pike, which are more spread out and feeding ravenously in water where oxygen levels may be much lower than normal. However, by taking a few simple precautions and having the right kit to hand, piking can be done all year round with minimal risk to the fish. Use strong tackle – a minimum of 15lb mono is recommended matched with 2 ½ – 3 ½ lb test curve rods for bait fishing. Do not worry about going even heavier. Many experienced summer pike anglers use 20 or 25lb mono when fishing rocky or weedy venues. Heavier breaking strains in braid are also used. When bait fishing strike very quickly when a run develops. Pike swallow baits faster in summer than they do in winter, and the time taken removing hooks which are deep will increase the time the pike is out of the water. Do not play pike for any longer than is necessary. Using strong tackle helps in this. Take pike from the water for the absolute minimum period. Unhook them in the water if you can, and retain them in the landing net in the water before weighing and photographing them. Time out of the water is the real killer of pike in summer time. Take as few photographs as possible and return them straight away. When lure fishing always be ready to cut hooks in order to speed the return of the pike to the water. Do not retain pike in tubes or sacks in shallow water, nor in direct sunlight. It is preferable not to retain pike at all during the summer. When releasing pike in the summer, always ensure they are fully recovered before allowing them to swim off. Boat fishing is also very popular during the summer. Again there is no problem with this but you and your boat need to be prepared for safely landing and unhooking pike quickly and efficiently. This week I’ve included some of the PAC’s top tips for pike handling when boat fishing. It is one thing handling pike when you are on solid ground, but when in a boat it requires a degree more confidence. If netting a fish from a drifting boat it is a good idea to manoeuvre the boat upwind of the pike. Better still drop the anchor to make boating the pike easier and reduce the length of time it will be played for. Always keep pike away from anchor ropes, strong sound tackle and a firm hand is essential for this. Some experienced boat-anglers prefer a round framed net, but as these are best used with a scooping motion they are not that easy to use when fishing alone. A triangular framed net is perfectly satisfactory. Once a pike is netted the net can be held against the side of the boat and the pike unhooked in its meshes. With the hooks removed the pike may as well remain in the net over the side of the boat while the scales and camera are made ready. Either lift the fish out of the net and directly into the weigh sling, or lift the net aboard and lay it on an unhooking mat or some other padded material prior to transferring the pike to the sling. Take special care when lifting fish aboard in rough weather. Anglers with a lot of boat fishing experience often prefer to keep their fish held off the deck at all times as pike often start flapping about when laid on a mat. On the bank you have more freedom to kneel astride pike to calm them down; in a cramped boat this course of action is not always practical. One advantage of photographing pike in a boat is that should the fish start to thrash while being held and run the risk of falling on the deck – it can be safely dropped into the water. In all other cases pike should be nursed as carefully when being released from a boat as they would be from the bank. Kneel down and lean over the side of the boat, keeping a hold of the fish by the wrist of its tail until it can maintain its balance and is strong enough to swim off steadily. When fishing from a boat there are also some added risks to personal safety. A very small number of anglers drown each year when things go wrong while afloat. The risks can be greatly reduced by following a few simple rules. For this reason, I’ve also included the PAC’s Boat Safety fact sheet, which I hope will prove useful to anyone who is thinking of fishing from a boat. The Big Fish Blog returns next Thursday, July 11.